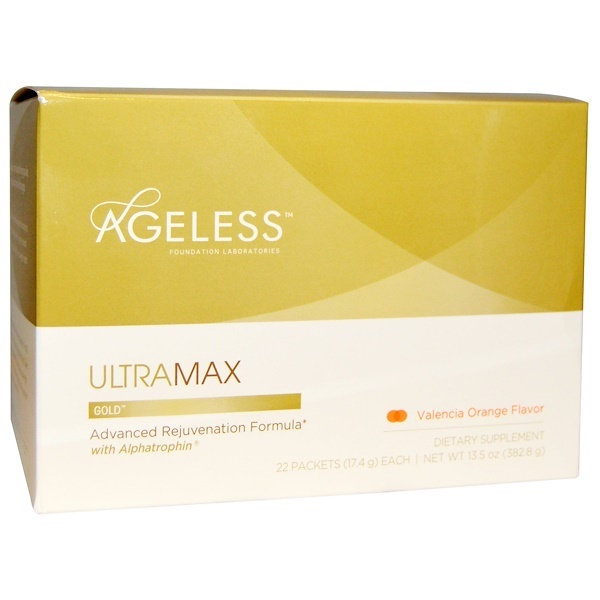 Being "Ageless" is not about how long you live, but how great you look and feel at any age. 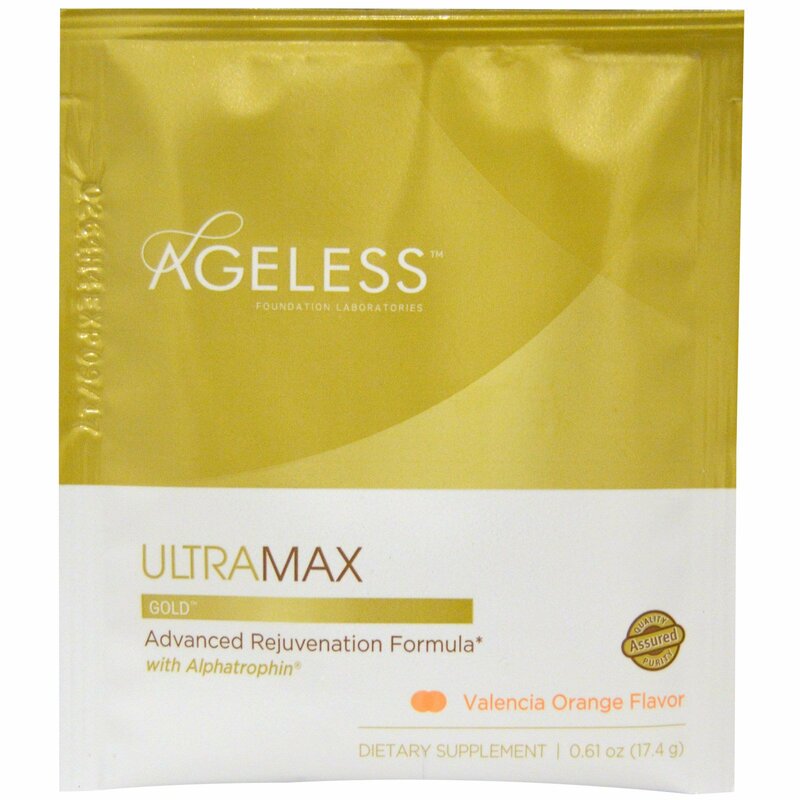 Ultramax Gold Effervescent Powder was designed to enhance the body's natural production of hormones that may improve physical performance and well-being, and supports a broad range of health benefits. Ultramax Gold with Alphatrophin Plus Somatostatin Inhibiting Complex Advanced Rejuvenation Formula. May Improve Body Fat Levels & Lean Body Mass. Dissolve 1 packet of the effervescent powder in 4 to 8 fluid ounces of water. Stir. Use 1 packet at night before bed. Take for 5 days and skip 2 days. Most effective when taken on an empty stomach, if possible 2 to 4 hours before or after a meal. For optimum results take for 3 to 6 months consecutively. Do not exceed recommended servings. Do not take if pregnant or nursing. If you have any medical condition or are taking any medication, consult a health care professional prior to use. Note: Use this product as a food supplement only. 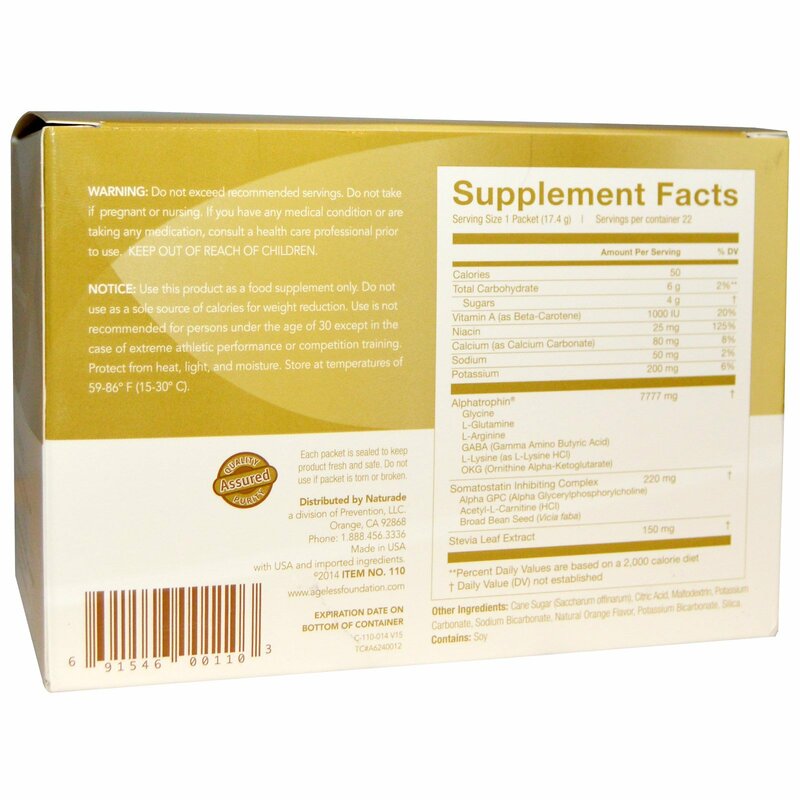 Do not use as a sole source of calories for weight reduction. Use is not recommended for persons under the age of 30 except in the case of extreme athletic performance or competition training. Protect from heat, light, and moisture. Store in temperatures of 59-86º F (15-30º C). Each packet is sealed to keep product fresh and safe. Do not use of packet is torn or broken.